It takes a lot of nerve to just waltz into someone's home and act like you own the place. But after essentially doing just that, a bear has taught one human living in bear country how it feels to be on the receiving end of an uninvited visitor. Earlier this week, Gwynneth Mayeux of rural Conifer, Colorado - located in the Rocky Mountain foothills, near Bear Mountain - awoke to find her kitchen, built in the heart of bear country, in a shocking state of disarray. The culprit? You guessed it. 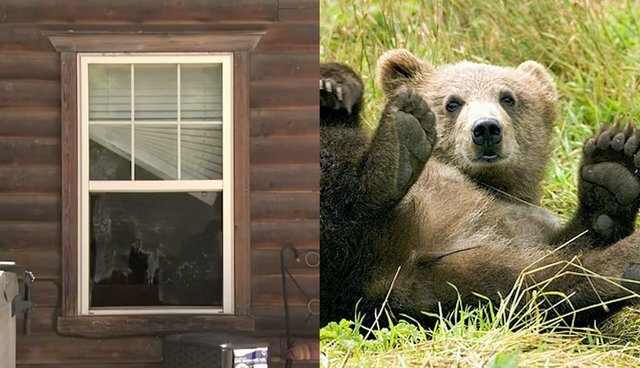 Evidently, during the night a bear had wandered from the surrounding bear country and into her bear country house, climbing through a window she'd left open to allow in that fresh bear country air. The bear then proceeded to help himself to some food Mayeux had purchased and was storing in her bear country fridge, leaving behind a mess that was quite hard for her to bear. Mayeux was not only shocked, she was also offended by what the bear had done. 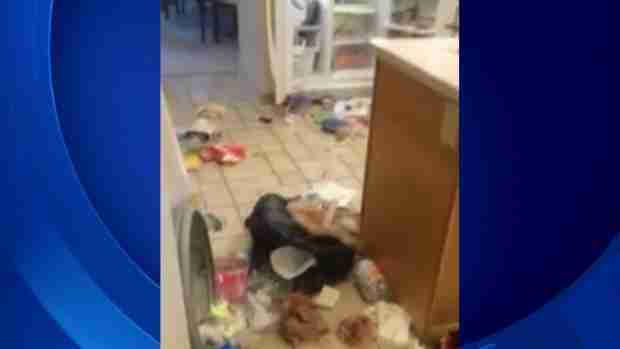 "He [the bear] emptied out two full shelves in the freezer, two in the refrigerator, took some food outside to eat it," she told news station CBS4. "I felt so violated I guess." State wildlife officials were alerted to incident, but they aren't going to euthanize the bear - "because I was at fault for leaving the window open," said Mayeux. Seeing how there's a good chance the bear will be back, especially now that he knows where there's free food, the bear country homeowner says she'll start keeping her windows latched at night to keep the bear out. Bear encounters in bear country are not uncommon, says Colorado Parks and Wildlife spokesperson Jennifer Churchill. But all too often residents there seem to forget that the place they call home is the same place bears do. "The foothills are definitely bear country," Churchill told The Dodo. "It's very difficult to get people to understand that there are bears around. Usually they don't fully realize that until there's a conflict like this. Unfortunately, something like that has to happen before people understand that we're serious when we tell them they need to bear-proof their homes."